This is a photo of our visit to Vietnam. 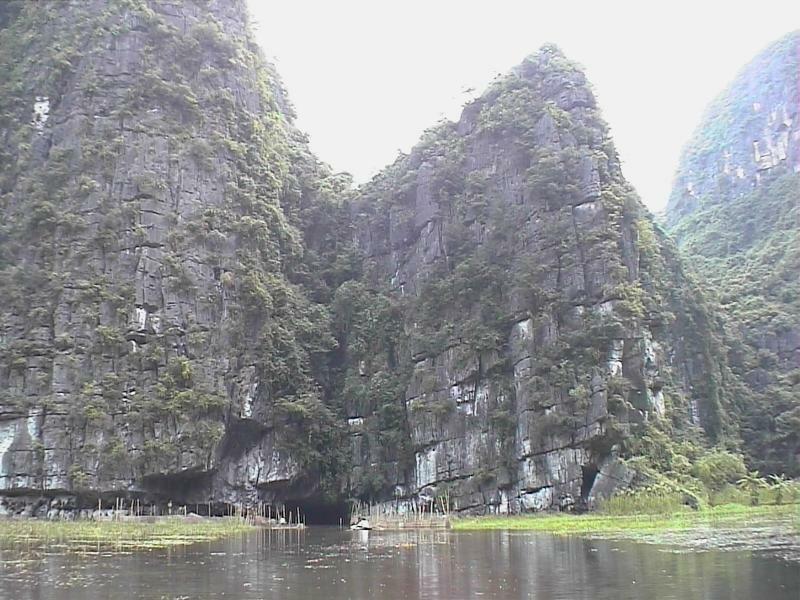 "Tam Coc" means "Three Caves" and is located near the capital of Vietnam, Hanoi. An entry of one of the caves can be seen on the photo, with a small boat they row you through the caves. Very impressive. This site also called "Halong Bay on the rice paddies". The "real" Halong Bay is located in the South China Sea and this is even more impressive. All trademarks and copyrights on this page are owned by their respective owners. Comments are owned by the Poster. The Rest: © Lucas Koorneef. Hosted by Antagonist. Copyright © 2019, Hannah, Shannon, Franny and Luke's homepage. Theme by Devsaran.